"Accumulating evidence suggests that cancer stem cells are responsible for cancer initiation, progression, metastasis, recurrence, and drug resistance. Our new research provides a better understanding of the signaling cascades that regulate stem cells and is essential for the design of new and more-efficacious therapies for cancer." said Jorge Moscat, Ph.D., program director of the Cell Death and Survival Networks Program at Sanford-Burnham. "We have shown that protein kinase C-zeta (PKC-zeta) normally inhibits stem cell activity through downregulation of two signaling pathways: beta-catenin and Yap. Previously, our lab showed that PKC-zeta acts as a tumor suppressor that maintains homeostasis of intestinal stem cells. The current study reveals the mechanism by which this occurs." said Maria Diaz-Meco, Ph.D., senior co-author of the paper and professor in the Program. The intestine is covered by a single layer of epithelial cells that are renewed every 3 to 5 days. The pool of cells that replace these epithelial cells--intestinal stem cells--needs to be regulated to maintain homeostasis. "Disturbing the homeostasis of the stem cell pool can go two ways--it can either reduce intestinal epithelial cell regeneration or increase the proliferation of stem cells. Cancer is produced by the accumulation of mutations in critical genes that control central mechanisms of cell growth. Stem cells are a 'permanent' population in the intestine and a reservoir for those mutations. 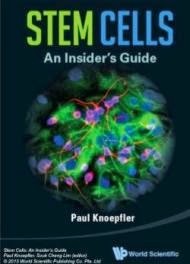 Therefore, if stem cell activity is increased, as in the case of intestines deficient in PKC-zeta, then the likelihood of developing tumors is much higher, and when the tumor is initiated it becomes more aggressive." said Diaz-Meco. 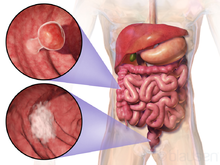 Using a genetically engineered mouse model for intestinal cancer, the researchers discovered that this process is kept under control by direct phosphorylation by PKC-zeta of two essential tumor promoters: beta-catenin and Yap. "Importantly, we confirmed the tumorigenic profiles of PKC-zeta, beta-catenin, and Yap in human colon adenocarcinoma samples. The correlation of human results with our in-vivo mouse studies strongly suggests that Yap and beta-catenin are potential targets of PKC-zeta function and potential targets for new anti-cancer therapies. Our results offer new possibilities for the prevention and treatment of intestinal cancers by blocking the pathways that lead to tumors. They also highlight a new strategy to promote intestinal regeneration after acute or chronic damage, such as that triggered by chemotherapy and radiation." said Moscat.